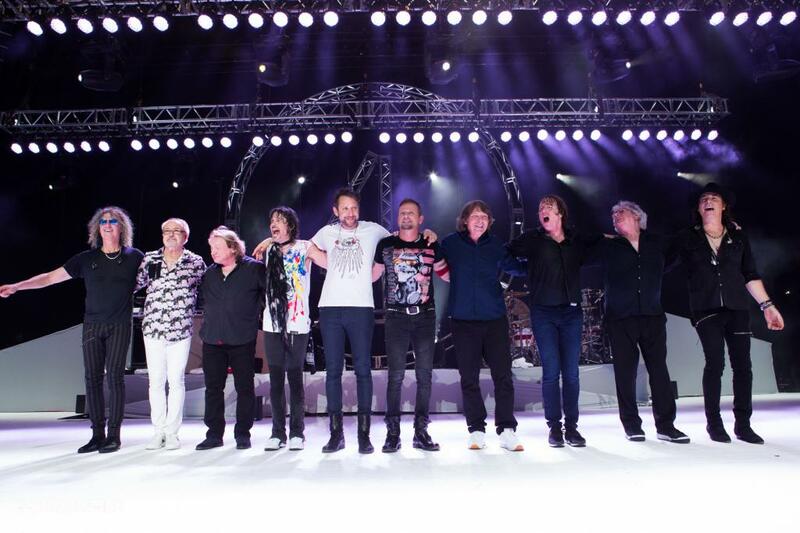 The original Foreigner lineup will reunite next month for the finale of the band’s 40th anniversary US tour. Original members Lou Gramm, Dennis Elliott, Al Greenwood and Ian McDonald, along with bassist Rick Wills, have previously appeared individually at various stops along the trek, and now they will all join the group’s current lineup during a two-night special event at the Soaring Eagle Casino & Resort in Mount Pleasant, MI on October 6 and 7. The Michigan shows will be recorded for a forthcoming 2018 TV special, DVD and album release. Jones formed Foreigner in New York in 1976 via a series of jams that saw him connect with Gramm, Greenwood, McDonald and bassist Ed Gagliardi. A series of multi-platinum albums followed, including 1978’s “Double Vision”, 1979’s “Head Games” and 1981’s “4”, helping the group flourish with 16 Top 30 hits while going on to sell more than 75 million albums worldwide. Gagliardi – who left the band in 1979 and was replaced by Wills – died in 2014 after an eight-year battle with cancer. Foreigner launched the 40th anniversary run in January; following the completion of the US dates, the group will begin an extensive Canadian trek in Calgary, AB on October 11.